Most young people have not heard of Glenn Ford, unless by stretching the definition of young they remember a small bit in "Superman." He was also forgotten by me until I stumbled on a DVD from the local library that launched an effort to see more. Many of his movies were part of my youth, but as I shifted to colour a lot of the black and white classics seemed less interesting. Although born in Quebec in 1916, Glenn moved to California as an eight year old and was not a staunch Canadian. What did I like about him? Basically a quiet masculinity. He played mostly good guys, but occasionally bad. He did demonstrate versatility, not always playing himself. Having said that, like many actors he had a persona that was consistent and perhaps it was the real reason he attracted attention. His first big success was "Gilda'" in 1946 with Rita Hayworth. I read somewhere that a photo of Rita from this movie was part of the plot for "The Shawshank Redemption." Shortly after he appeared in "A Stolen Life" with Bette Davis who played two roles that demonstrated her acting ability. In "The Big Heat" he played a crusading cop who eventually came out on top. A young Lee Marvin played the villain. "Blackboard Jungle" was a movie I watched with my father on tv. It was also probably the first time I had seen Sidney Poitier who left an impression. Apparently this movie generated some hate mail due to Poitier's sympathetic role. Glenn played a novice teacher who had to deal with some difficult to control teenagers. One of the first movies to show how rough classrooms can be. "Jubal" is the movie that started this project. Jealousy and deliberate misleading were the key elements. Ernest Borgnine and Rod Steiger were major co-stars. Peter Ford commented that his father did not appreciate method acting and was annoyed at some of the preparations made by Steiger. It was a well done movie or it might have killed my project. "Teahouse of the August Moon" was not at all what I expected. Hammy in some ways, but had a point. Marlon Brando also in a role I would not associate with him. Eddie Albert, Paul Ford and Harry Morgan all future tv characters took part. "3:10 to Yuma" was a good movie with lots of tension. Originally Glenn - was offered the good guy role eventually given to Van Heflin. Glenn preferred to accept the bad guy role. At one point Glenn is whistling to annoy his captor and we later learn that he was whistling the movie theme. Story from Elmore Leonard. 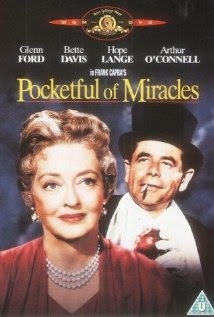 "Pocketful of Miracles" was another movie with Bette Davis, but quite different from the earlier one. Hope Lange played the romantic interest. This was a comedy with lots of familiar character actors, Thomas Mitchell, Edward Everett Horton. Peter Falk who went on to better things had a strong supporting role. Ann-Margaret was introduced. Glenn won a Golden Globe award. 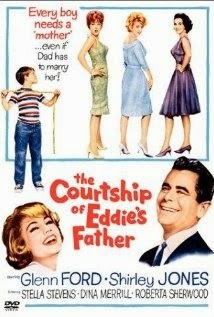 "The Courtship of Eddie's Father" was still another comedy. Ron Howard now a well regarded director played the cute Eddie. It was funny, but very realistic. Glenn played a flustered father with personal issues. Shirley Jones, Dina Merrill and Stella Stevens played the three women that got Glenn's attention. I rounded off this project by re-watching "Superman"' to view Glenn in about two minutes screening as the adoptive father. 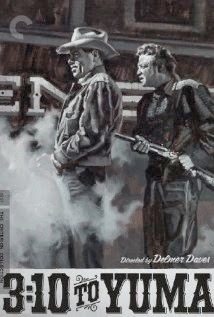 Another movie combining Marlon Brando and Glenn Ford. It can be a letdown to realize the person on the screen is not the real person. I was disappointed to learn Glenn Ford had many affairs and that he worked with Ronald Reagan's election campaigns. He did voluntarily serve in the US military, but not in combat. Married to Eleanor Powell who at the time was more famous than him. They had one child, Peter who became a biographer and supplied some information for this blog in a DVD special feature. He went on to marry three other women and divorced them all with no other children. He made the top 10 Hollywood list of popularity in 1956 and 1958 and topped the list in 1959. I still enjoyed his movies.